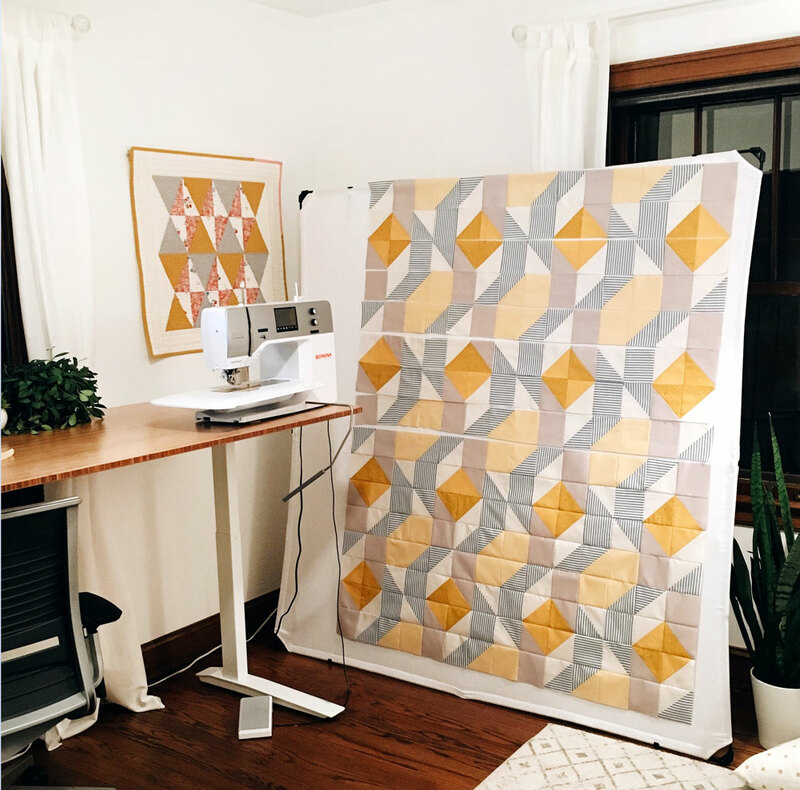 We’ve been talking recently about how to take your sewing studio to the next level – like getting an AWESOME sewing table, and setting yourself up right with all the best gear. 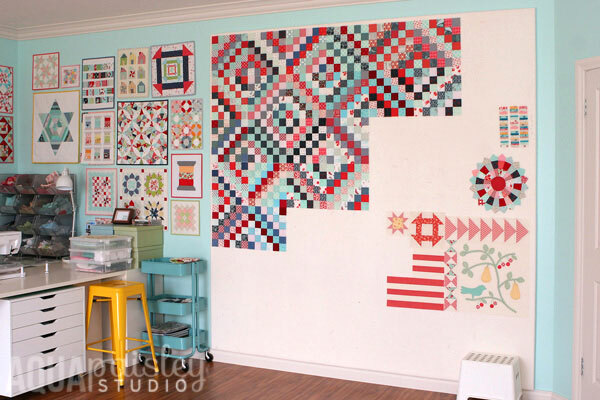 * Now, it’s time to talk about a quilting studio must-have: a quilt design wall. 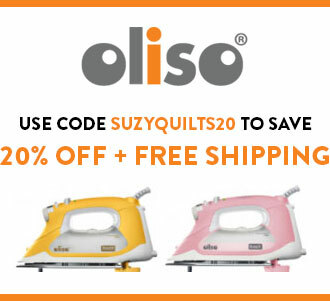 What is a Quilt Design Wall? 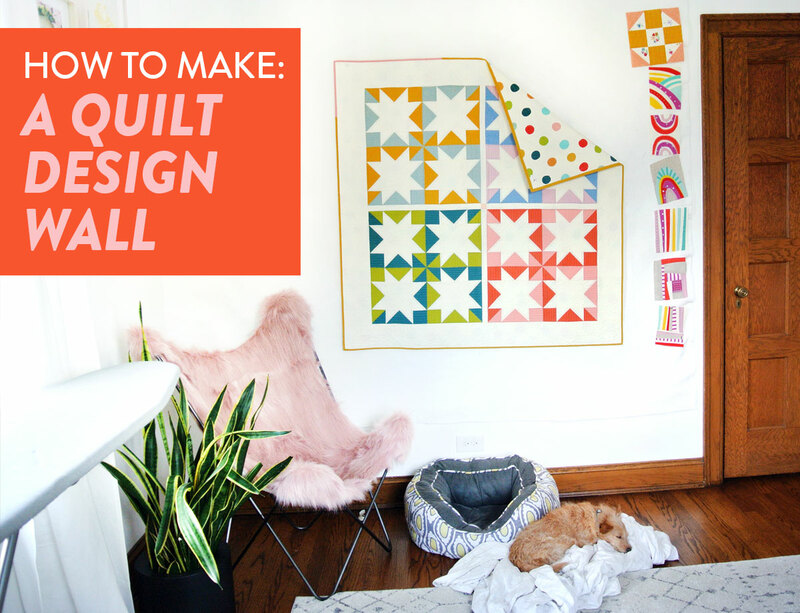 A quilt design wall is basically a blank space on the wall where you can project your quilty brain. 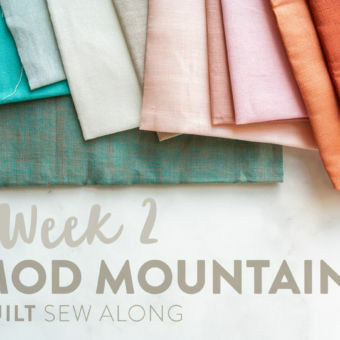 You can use it for aaaanything, like arranging fabrics, comparing colors, organizing finished quilt blocks… so many steps of the quilting process can benefit from a design wall. (Bonus: your knees and your back can benefit, too. Without a design wall, I’d be crawling all over the floor all the time, probably in knee pads.) Design walls are made with material that ‘sticks’ to fabric, so you don’t even have to use pins to arrange your work--you just slap it to the wall, like a crafty magician. It’s the best. I’m guessing you probably have walls. Previewing quilts makes a big difference. Like huuuuuge difference. Literally Just Stick It to Your Wall. What do I mean when I talk about quilt previewing? 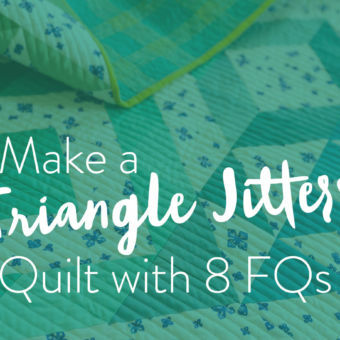 I’m talking about setting up your quilt blocks, and stepping back to take a look at your work from a distance before you actually sew it together. I can’t even tell you how many times I’ve found layout errors and rearranged colors after a quilt preview. 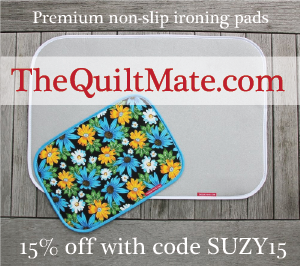 You don’t want to notice this stuff after that quilt’s all quilted and sitting on your bed. Preview it. Move stuff around. Have a quilt design wall. To make one just like me, all you gotta do it stick 100% cotton batting to a wall with Command strips. Ta-da!!! I use this cotton batting and these Command strips to be exact. Yes, that’s really all you have to do to have an official, totally useful design wall. 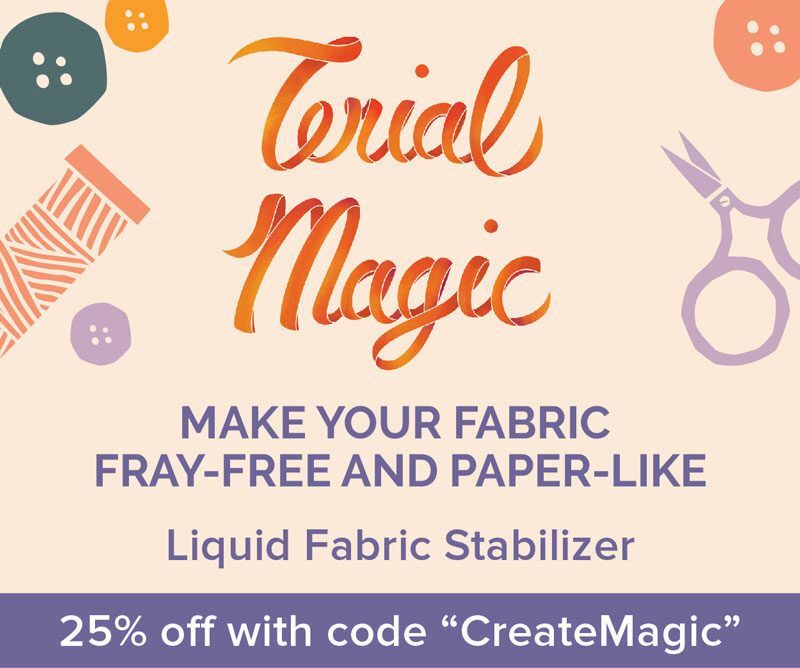 I used cotton batting because it has that handy cloth-sticking factor, but it’s not the only fabric with that magic touch. Here are some other options. Cover a thin composite board with neutral-colored flannel: Flannel is another one of those ‘sticky’ fabrics, and it’s relatively inexpensive. I recommend neutral colors because trying to evaluate your quilt blocks against a background of pink stripes can be kind of confusing. Use foam-board, with or without cloth covering: If you are someone who actually likes the idea of pinning fabric up, go for foam board! 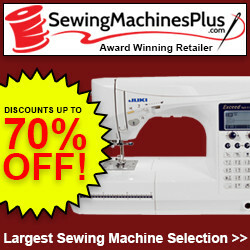 It’s really easy to get pins in and out, and it’s a great lightweight option. 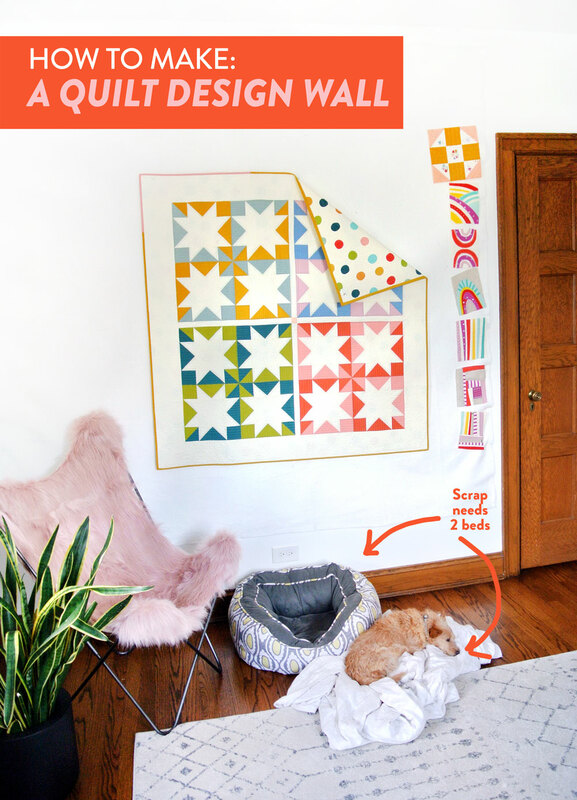 Secure a flannel-backed vinyl tablecloth to your wall, flannel side-out: If you do it right, this can be a great option if you want to be able to remove and roll up your wall in case, you know, you’re having company over and pretending you have more interests than just quilting. Buy an actual, commercial design wall: These exist! This one is inexpensive, removable and very transportable (for retreats and stuff.) If you can make a larger investment, this one has great structure (so it's not flapping about when the ceiling fan turns on) and is also collapsible. I just bought myself one and you can see it pictured below. 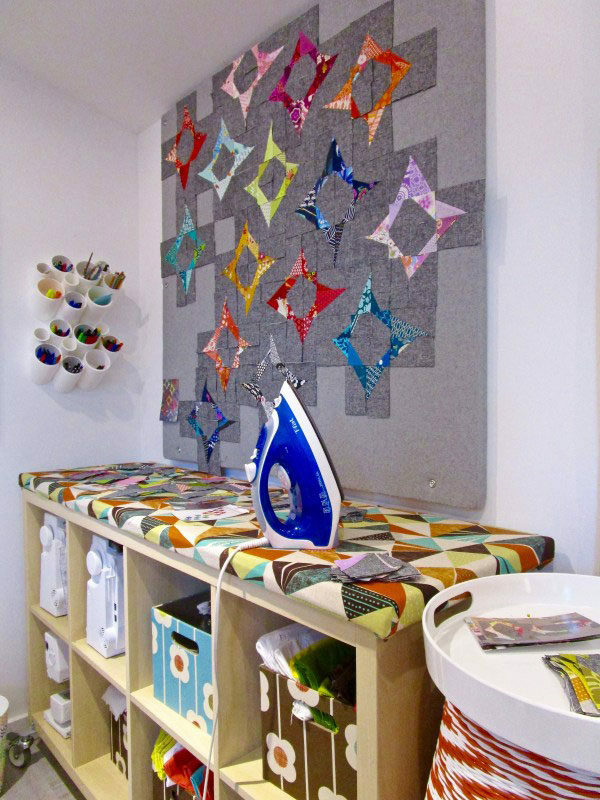 Use a door: This can be a great use of space if you have a smaller craft room or quilting space in your home. Cover a closet door, or the door to the room, with flannel or batting, and you’re good to go! Get this same portable design wall here. It takes about 10 minutes to put it together the first time, and then it gets much quicker. Since first writing this article, I decided to take down my on-the-wall design wall and get this one. I take mine up and down all the time. My reason for the change is because I wanted to utilize that wall for hanging a quilt permanently. For step-by-step instructions, check out the original post. To get the full instructions, read more here! Have you made a design wall or possibly have a new spin on one? I'd love to hear about it in the comments below! You kept mentioning something good for the cat? So where is the cat related part? I’m sorry, but I am very confused about what you were suggesting about something to make the cat happy. I did see a picture of a dog. Oh I totally get the cat comment! My comment is “awaiting moderation”? I’m really not trying to be rude but what does that mean? I turned my 3-door sliding closet into a design board. My husband put 2 eye hooks into each door and I hung an indoor/outdoor carpet up. I’m pinning quilt blocks onto it now but I think I’m going to hang a flannel sheet on it. Pinning each block and trying to move them is a hassle, and I worry about pins falling off and getting stepped on. Why didn’t I think of using flannel? Genius! Thanks! Yes! I think once you swap out the carpet for flannel you will love the result! Wow! Thanks for sharing! I noticed your design wall a couple of weeks ago and assumed it was something like a very large post-it note made just for quilters. I actually put it on my birthday wish list. I started your Kriss Kross quilt for my sister’s baby shower, and just ended up using scotch tape to place my blocks up in my living room. My husband definitely thinks I’ve gone off the deep end, but I am having so much fun! 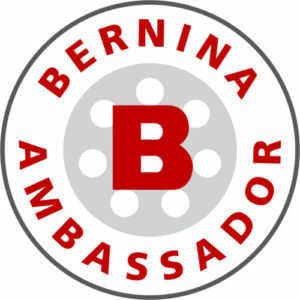 I can’t tell you how grateful I am to have discovered your blog this summer! BASTING SPRAY!!! How did I not think of this?? I’ve had a corflute board in my room waiting to stick the batting to, but all I could come up with was a hot glue gun bhahahaha! And I obviously didn’t think that was a great idea because I’ve been putting off doing it. But BASTING SPRAY!!! Now that is genius! Haha! Yes! Basting spray or even spray glue (found in craft stores…probably next to the basting spray). Both would work great! I have a giant piece of 1/2 in plywood leaning against the wall in my sunroom (walls aren’t drywall, but original outdoor siding). I used my left over scraps of batting and staple gunned them in-perfect! I have the less expensive portable system, the flannel back tablecloth put up with finish nails! It works great! My question relates to the Insulation board system that you show on the blog= it has the most beautiful dark grey quilt with improv color blocks on the board? 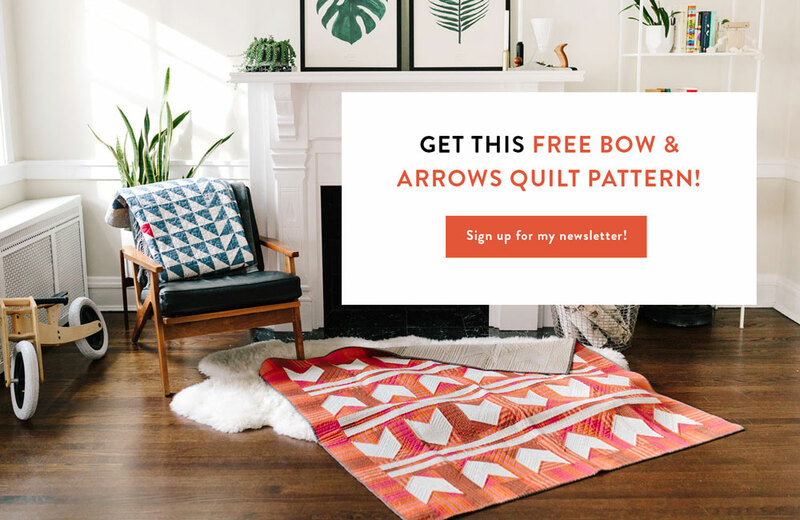 Is that quilt one of your patterns that will soon be for sale? That’s a question you would have to ask the designer – Katie Pedersen. If you click the link next to the photo you can see her original post. I am them vinyl table cloth person. Last time wasn’t thinking and got one on clearance for 2.58. But it has dinosaurs on the vinyl side and show through. I just think of it as extra color on my design wall. I use a flannel sheet held onto the wall with thumb tacks about every foot or so along the top. I am thinking of stretching it on the foam insulation board so that it doesn’t “droop” when I hang whole rows or small quilts on it. I use gray fleece from Walmart attached to the wall with large pushpins. It has worked well for a couple of years, but I have to lint roller it occasionally to improve stickiness. I hope this doesn’t sound stupid, but I’ve got the batting and the command strips … but I’m not sure how to attach it to the wall. Do I literally just stick the strip to the wall, then put the batting directly on the adhesive? Does the fabric stick to the strip just like that?? Yes and yes! It’s as simple as sticking the Command strips to the wall and then slapping the batting right on top. Not much to it! You will end up using a lot of Command strips to keep the batting from gapping and sagging. I just stapled a piece of flannel to my wall. Works fine. Very low cost. Have used a number of your patterns to make quilts for donation to cancer kids in rehab. For my planning wall I purchased 2 sheets of insulation board from the lumber yard. Since I’m a crossword puzzle lover I cut them into 12″ squares, mixing both white and light grey fleece, I wrapped and hot glued the fleece then arranged them to appear as a blank crossword puzzle. Could you give size details on your newest “toy”, the collapsible planning board as I often times start working on a new design at the same time using the smaller pieces from the initial quilt I’m cutting out so I don’t forget the idea I had in mind for the “left overs”. 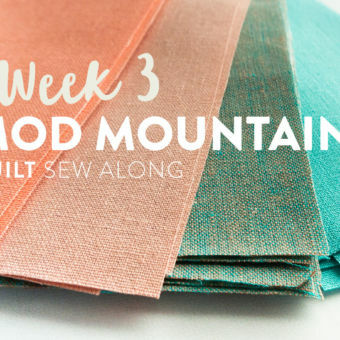 I look forward to more quilt designs. That gridded flannel is the BEST stuff. Even large sections of pieced quilts cling to it without falling. I have very very little free wall space as I just downsized into a retirement condo—lots of fabric still in tubs in the garage sort of downsizing! And I have a cat making the floor a non-option. 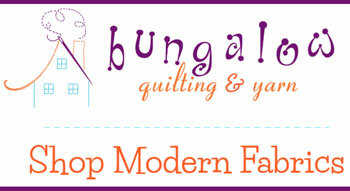 Could you use a large window blind hung above the doorway then flannel or batting glued on to that? Would it be sturdy enough? Thanks for your help! That is what a friend uses for her design wall, and I believe there is a photo of one made that way in the article. Hung in front of fabric storage cabinet. 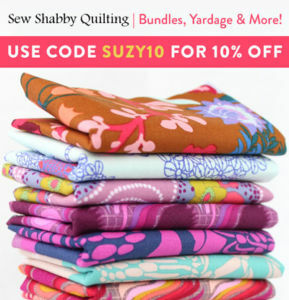 I have like a gazillion 1.5″ yo-yos to make a quilt & really need a design wall for the layout. Thank you so much for the great ideas. 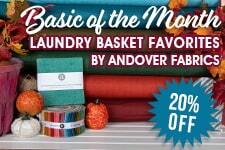 I’ll try the flannel method first because it’s on hand. 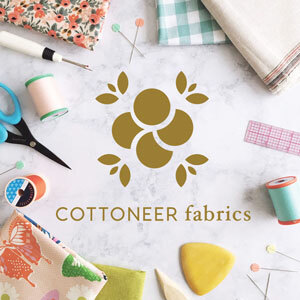 Hi is there anyplace on the net that sells fabric made by ‘Peter Pan Fabrics, Inc.’? I have a carmine/grey floral print someone gave me that I cannot find anywhere. online. I’m not familiar with that company. Maybe try eBay? I love the design board ideas. I have an old pull down school map. I am going to replace the map with a lightweight vinyl and spray adhere flannel (I’d get the grid, but it’s sooooo back ordered, ya can’t even order it) to it. I’m going to see if this brainstorm will work. That sounds like a perfect way to setup a design wall. How did it turn out? I appreciate how you said that you should look at a quilt really well before deciding to have it on your bed. 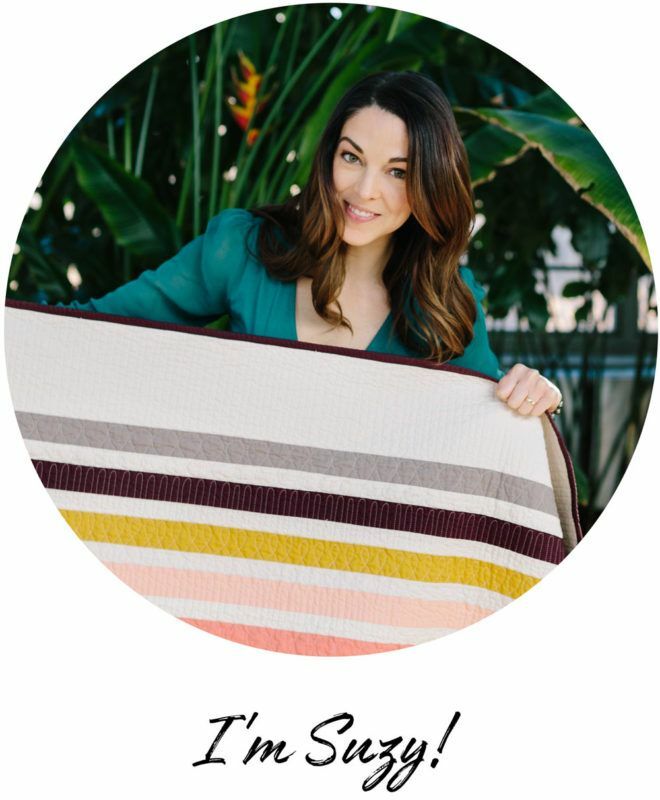 Knowing exactly what you are getting into when you make or buy something is really important. That way you can be sure that it will go with the color scheme of a room or something like that. Would felt work just as good as flannel,for a design wall. Would the fabric stick to the felt like it stick to flannel how would you make a moveablev board. Yes, felt would work just as well. You could staple it to a large piece of foam core, as an option. Hi Suzy, May I ask if you still like your portable design wall i.e. would you buy it again? 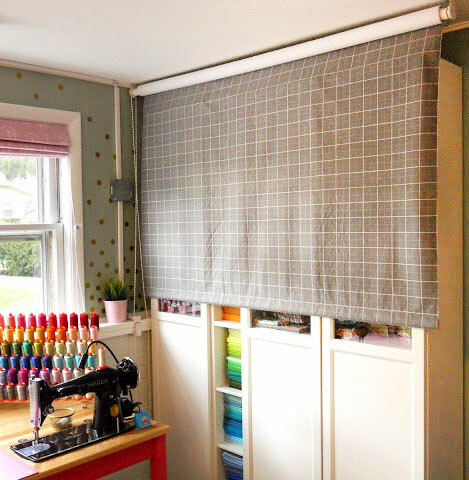 I currently have the command-strip-stick-it-to-the-wall version but it’s in a different room than my sewing machine so am thinking of getting the portable one like yours (72″x72″). As with everything there are great reviews and then some that say it’s not that sturdy and blocks don’t stick, etc. so was hoping to get your opinion. Thanks much!! Great question and I have a lot of opinions. What’s new? 😉 Overall, yes, I still really like it and it still serves it’s purpose well. Once I get it all set up, mine is surprisingly sturdy, however I do understand the review that blocks don’t stick super well to it. My blocks always stick, however if my ceiling fan is cranked higher than a gently breeze – blocks be flying. The first time you pull it out of the bag you are going to think, “You’ve got to be kidding me.” It’s a bunch of tiny black poles and a piece of white flannel. It probably took me 15 minutes to assemble the first time, and now, about 4 minutes later I have it up. Basically, I think for the price point, it could have been designed better. I realize the designer wanted it to break down completely into a small bag, but I expected it to “pop into place” rather than make me feel like I’m assembling a tent. Bottom line: I still like mine. I’ve gotten really fast at putting it up and taking it down. I like that I can move it around my sewing studio as needed, and I really like that once I’m finished I can hide it so that I don’t have to stare at a wall covered in batting. I recommend it, knowing that it’s not a totally perfect product. Thank you, Suzy. I love hearing your opinions. 🙂 It sounds like a good solution and Massdrop currently has a drop for $89.99. It’s still a nice chunk of change but, like you mentioned, not having to look at a wall covered in batting is appealing especially since I don’t always have quilts in progress. My cats would like you to know that they really don’t appreciate your giving me this idea, as it will ruin their fun. I have been on hiatus for a while sewing wise since I moved my sewing room and proceeded to fill it with junk… I have finally found the time after 2 years to declutter and get back to my machine! I am an avid quilter and in the past had to arrange my blocks on the floor in the lounge room as that was the only space I had (not easy with a 1 year old at the time who would be great buddies with your cat!) I have just finished making my self your quick and easy display board and I am so in love with it! Thanks for all your great posts am thoroughly enjoying browsing your back catalogue! After reading the instructions for the design board, I was wondering if I can use felt for the design board instead of flannel or batting? Hmmmm I would think so. If you have a small piece of felt tape it up on your wall first to see if fabric sticks to it. If yes, go for it! Wow! This was a great, helpful post! If you’re using water soluble glue, any temp should work. Warm water will prob be the fastest. You’ll probably have to do it in sections.